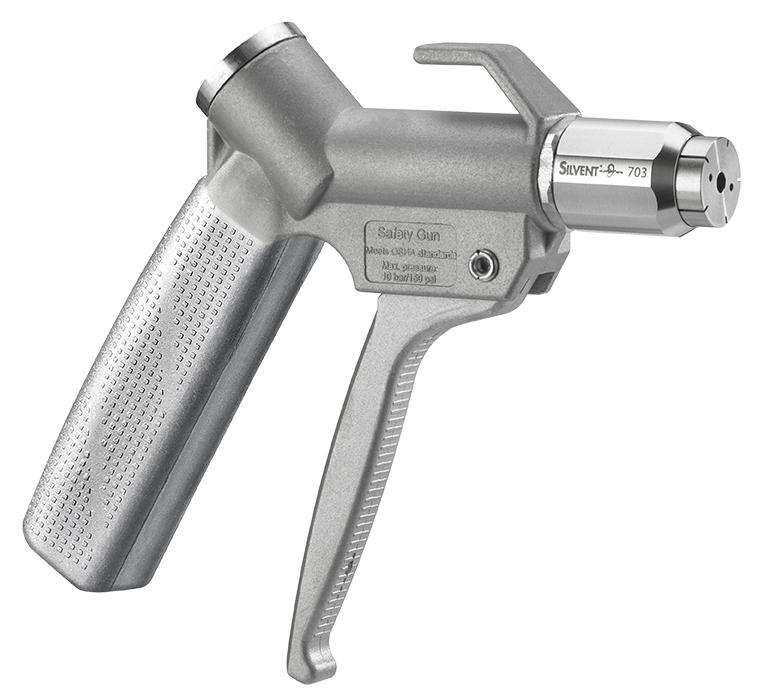 The SILVENT 2053-L is a safety air gun that is equipped with a Laval nozzle. 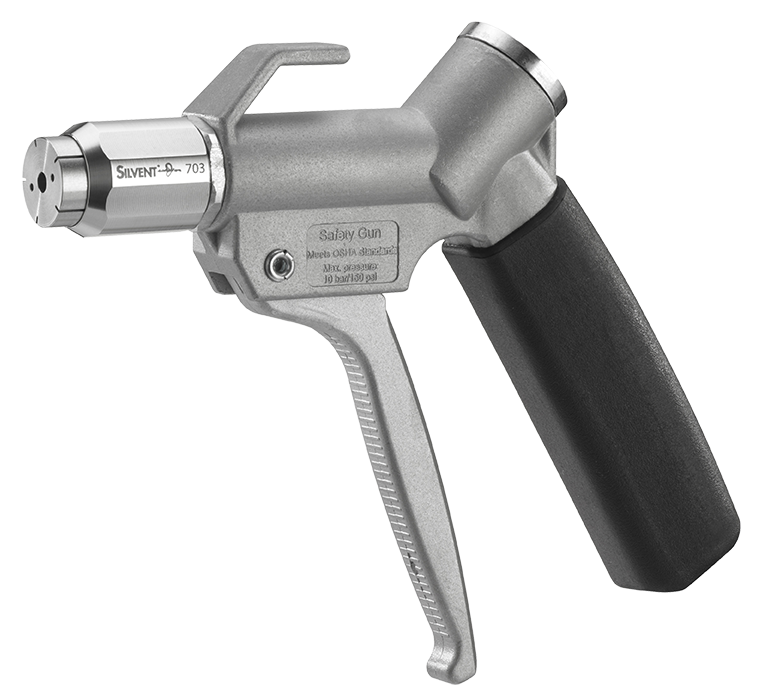 The blowing force is more than 3 times stronger than that of an ordinary compressed air gun. 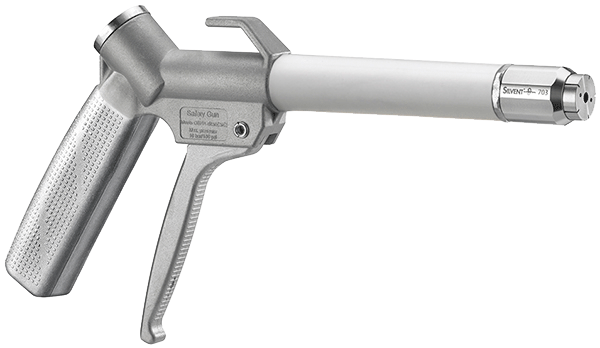 The compressed air is optimally used in this Laval nozzle by surrounding a core of air traveling at supersonic speed with a protective film of air moving parallel to the central air jet. Diverging slits around the Laval hole provide quiet, strong and laminar air streams. Despite the high blowing force both the sound level and energy consumption are low.